The award recognizes an employee-owner who has gone beyond what is expected to promote and support ownership culture. Cisco-Eagle believes that empowered, fully-invested employee-owners help us provide exceptional customer service and better business results. 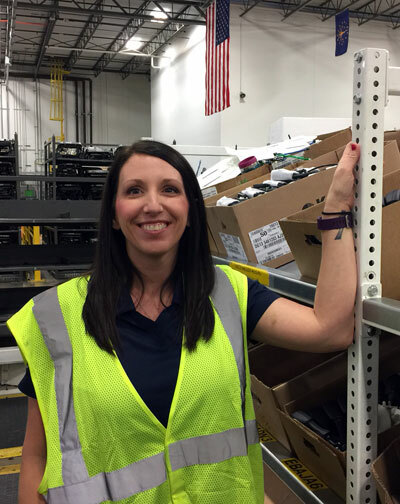 Brooks works in Customer Sales and Service, where her job includes order entry, assisting sales associates, and working directly with customers to help them select equipment and complete orders. She creates project budgets and manages those for multiple salespeople and projects. 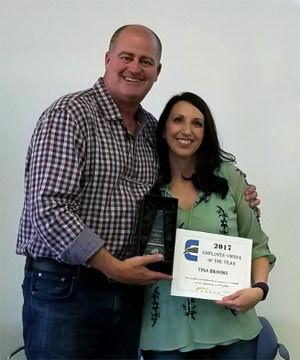 Brooks is an enthusiastic participant in Cisco-Eagle’s culture, which defines itself by employee ownership, dedication to customers, and service to fellow employee-owners. She has been a member of our ESOP Advisory Committee, customer satisfaction team, and participates in Cisco-Eagle’s financial huddles, all while ensuring that customers are taken care of promptly and efficiently. She has become a leader of Cisco-Eagle’s Oklahoma City office as well as several committees. She consistently provides outstanding customer service while maximizing company resources. She fills gaps when needed, helping people across the company execute orders, projects, events. She’s described by her colleagues as relentlessly organized and always thinking of ways to improve. Brooks also participates in organizations outside the company and works to make her community better. She is a key figure in the Oklahoma City Facility Managers (IFMA) professional networking group, where she manages the group’s largest fundraiser, an annual golf tournament. Brooks and her family participate in the Oklahoma Department of Human Services Foster Care program, providing a secure home environment for children in OKDHS custody. For information on Cisco-Eagle’s ESOP, visit our ESOP page.